I am a lover of the great movies, those that tell the deeper story of life. The Star Wars films are right up there for me. 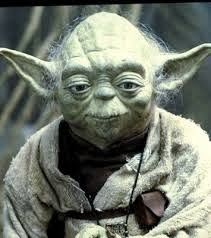 My favourite character is Yoda so I was thrilled to find this website with many of Yoda's lines. Wisdom is often found in unusual places. Where are you looking?